I know, I know, Christmas is all over, but hows about you let me get away with a christmas layout with zebra print and a lion on? "For their Christmas School trip, Kai;s year went to Jungleland. There were a few parents who were asked to be helpers including myself & Kate (Bens Mom). We soon got stuck in & were running around, climbing & going down the long slide, just like the kids." Love the layering, love the photos....and what a fun day out! I'd have joined in too! Oh what a fabulous layout, I'm really enjoying scrapping at the minute! 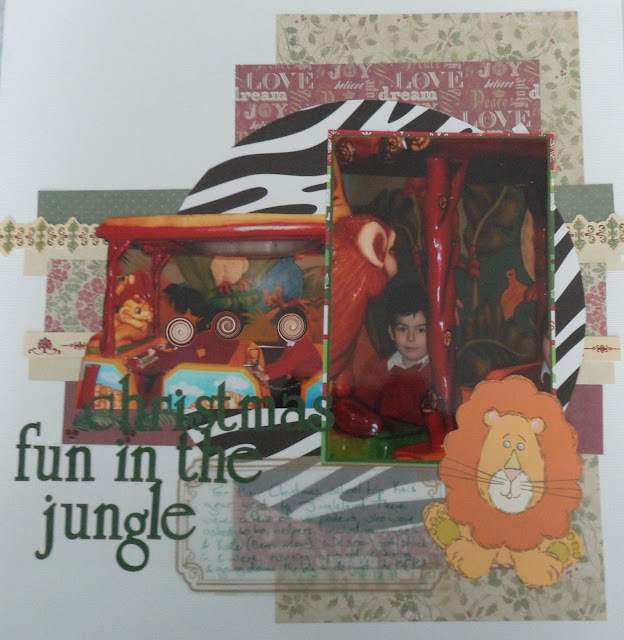 Scrapbooking: 2011, in the beginning, the end.